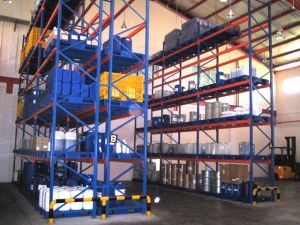 USA Building Supply is the leading resource for all your storage and shelving needs for your facility. We offer an extensive line of storage and shelving products including storage cabinets, safes, x-ray cabinets, industrial shelving and more. Our material handling products include mobile carts, platform trucks, poly box trucks and pallet trucks all designed with industrial strength materials. This ensures optimal durability for maximum performance. USA Building Supplies offers a variety of facility operations products for your specific building needs. *USA Building Supplies continues to expand on our product lines daily. Check our website often or contact our customer service representatives if you are unable to find your product today. USA Building Supplies will have your product to purchase soon.